Time to dust off your Furbish dictionary and get ready to party with your Furby Party Rockers creature! These critters are born with attitude and won't let anyone change them. But they love to mingle, so take your Party Rockers creature to a party! The party gets wilder as you rock it, shake it, pull it and party on. How will your Furby (sold separately) react to all this partying? Play some tunes, pull some tails, and party on with your Party Rockers creature! You can also download a free app to help you translate Furbish, virtually feed party snacks to your creature and use other interactive features. App is optional and works with iPad, iPod touch and iPhone with iOS 4.2 or later. 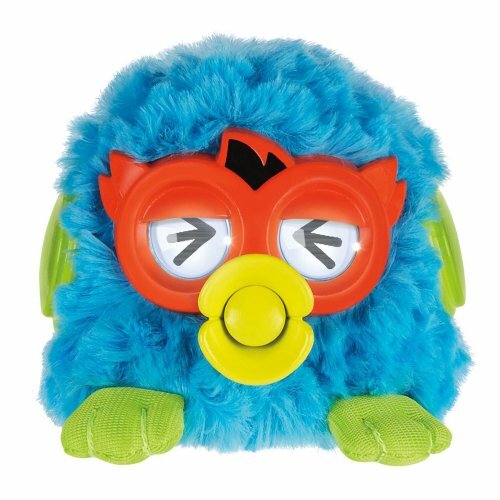 Product Measures: 4" x 5.5" x 6.7"
If you have any questions about this product by Furby, contact us by completing and submitting the form below. If you are looking for a specif part number, please include it with your message.